Robins been found dead! And thats not an easy thing to face – especially when youre Tim Drake! 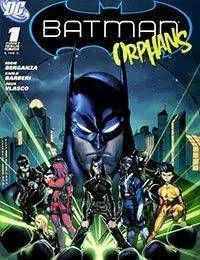 In this pre-RED ROBIN tale, Tim and Batman must solve the murder of an impostor Robin and follow the trail of someone putting together a new team of teenaged sidekicks made up of kids whove been promised that theyll become the new Robin…IF they survive!